The Ribbon makes finding and using your favorite tools simpler with new graphical menus and a familiar experience to help you easily create and manage projects. Tooltips and contextual guidance provide information and shortcuts so you can accomplish more in less time. In the new Microsoft® Office Backstage™ view, simply save, share, print, or publish your projects from one location. Save time and effort with familiar and essential functions like text wrapping, filtering, auto-complete, scroll and zoom, and more. Insert new columns on the fly—data types are readily identified so that you can quickly and effectively organize and analyze details. Quickly share schedule details through enhanced copy-and-paste, and retain key formatting between Project 2010 and other Microsoft Office applications. User-controlled scheduling puts you in control and brings together the flexibility and ease of use of a tool like Microsoft Excel® 2010 and the power of the Project 2010 scheduling engine. Create project schedules at the level of detail that’s right for your project. Work with summary data initially or shift to a more detailed approach when it’s convenient. Place notes as reminders of where additional schedule information is needed, or simply add information as it becomes available. With a completely new and visually enhanced timeline view, you’ll have a clearer view of tasks, milestones, and phases. Newly expanded color palettes and text effects help you make every timeline and plan look their best—and help you to swiftly see and share important dates and deliverables. See the right mix of people and resources: simply drag tasks to effectively plan work for your entire team and project. The new Team Planner view in Project Professional 2010 shows resources and work over time, to help you spot problems and resolve issues. New in Project 2010, the Task Inspector offers additional analysis and intuitive guidance to resolve scheduling conflicts derived from a task’s attributes and assigned resources, which you can choose to act upon or not. Quickly compare budget versus actual versus forecasted values to measure an initiative's progress with the flexibility of setting multiple baselines. Create high-level time-phased budgets with user-defined categories for costs and labor. Validate budgets against bottom-up estimates built by using labor, material, and cost resources. Control project costs by comparing budgets to completed tasks and forecasted totals. Use built-in earned-value metrics for predictive analysis and integrated performance management. Often you'll need to evaluate scenarios and consider options when planning new projects or monitoring ongoing work. Using inactive tasks, new in Project Professional 2010, you can easily experiment with your project plan and perform what-if analysis. A simple toggle removes or inserts one or more tasks, along with their effect on the project schedule. Project 2010 also offers more built-in tools to help support what-if analysis and scenario comparison, including multiple-level undo and change highlighting. Connect your teams by synchronizing with Microsoft SharePoint® Foundation 2010. Using Project Professional 2010, you can synchronize SharePoint Foundation 2010 and Project Professional 2010 project task status updates for you and your team members. You can also save your project files to SharePoint Foundation 2010 team sites to communicate plans and collaborate on progress. Realize the power of unified project and portfolio management by combining Project Professional 2010 with Microsoft Project Server 2010. Together, Project Professional 2010 and Project Server 2010 create the Microsoft Enterprise Project Management (EPM) Solution, and deliver end-to-end capabilities to help organizations prioritize investments and optimize resources, gain control of all types of work, and visualize performance by using powerful dashboards. Use the 64-bit options of Project 2010 to enhance performance and support very large projects and programs. Project Standard 2010 and Project Professional 2010 are offered in 32-bit and 64-bit options to support a diverse range of project types and sizes. 64-bit options take advantage of the expanded memory and optimized capabilities of the latest processors and of the 64-bit versions of Windows 7 and Windows Vista. 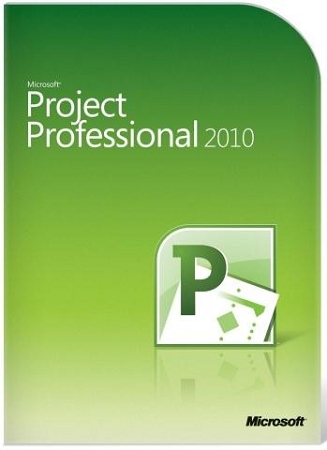 64-bit Project Professional 2010 also offers enhanced performance and handles extremely large project files with ease when connected to Project Server 2010.